Asus announced the ROG Gladius II Wireless Gaming Mouse back at Computex in June. 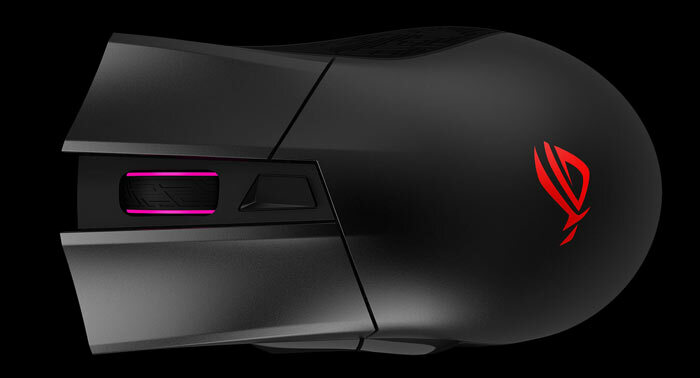 The new eSports professional targeted rodent works in wired or wireless modes and is very similar to the wired-only version of this mouse except for, obviously, the wireless functionality and an extra 20g in weight (it is 130g in total due to its 800mAh battery). HEXUS reviewed the wired version of this mouse 17 months ago and it gained an Approved award, with its only notable drawbacks being the price and ‘marmite’ DPI target button. Thanks to its use of a dual-wireless interface (2.4GHz wireless and Bluetooth) this rodent can connect to “almost any laptop or PC”. The 2.4GHz connection requires the included Asus dongle and is claimed to be very fast (1ms) with great range (300ft). However, if you forgot or misplaced your USB dongle you can use the Bluetooth wireless over short ranges with many modern laptops. There is a dedicated button to switch wireless connection modes. 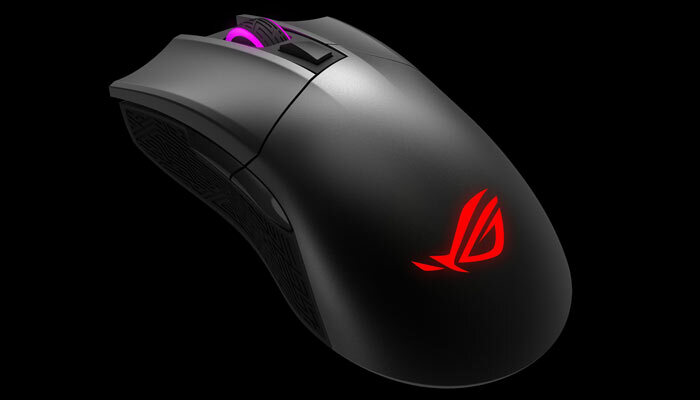 Asus says it has upgraded the sensor “to compensate for the lack of wired power” and this new wireless gaming mouse packs the fourth generation Pixart PMW3390 with up to 16,000 dpi (last year’s wired model packs the Pixart PMW3360 optical sensor with a maximum DPI of 12,000). Asus equipped a newer MCU that improves power efficiency and addresses some complaints about the older MCU in Asus Spatha wireless gaming mice. As mentioned above, Asus equips an 800mAh rechargeable battery, and it is centrally located for balance, says Asus. This facilitates 24 hours of play with the lighting features off. Asus has reduced the number of RGB LEDs that consume power, most notably the light ring on the bottom of the Gladius II. Two RGB lighting zones remain. The main buttons are durable Omron D2FC-F-K switches that can withstand 50 million clicks to and inherit the push-fit switch socket familiar from other ROG gaming mice for replacements or tactile alternatives. TechPowerUp reports that this gaming mouse has now been, or is about to be, introduced to retail. (At Computex Asus said it would ship in Q3). Unfortunately we don’t have any hard dates and prices but it is expected to be price competitive to the Logitech G Pro Wireless which is sold for around $140. Looks just like a Razer mouse…. I pretty much have no luck with gaming mice. I need a new one after 4 months. I currently have a Razer Mamba TE and the sensor is crap. I like everything else. Tried Logitech? never had an issue, had a few Razer Peripherals and found them all to be overpriced crap. Last logitech mouse I've used was a G700 Wireless. To say I was not impressed with that mouse would be an understatement. The battery was one of the worst things I've ever seen. A gaming mouse with a battery that lasted less than 45 minutes in a Left4dead2 co-op game. I ended up always having to plug it in. Logitech did say that they have batteries that last weeks (G903). Since Logitech said the same thing about the G700. I decided to bypass the marketing scam and go with a corsair or razer. At the end of the day 80+ dollars for a mouse is a scam anyway. I find myself buying them anyway. I'm using a G700S right now - My battery lasts ages… several days on high power before it needs recharging. IIRC, you can get Enneloop batteries that last even longer. I did also like the new G900 one, but was toying between that or the Roccat Tyon.